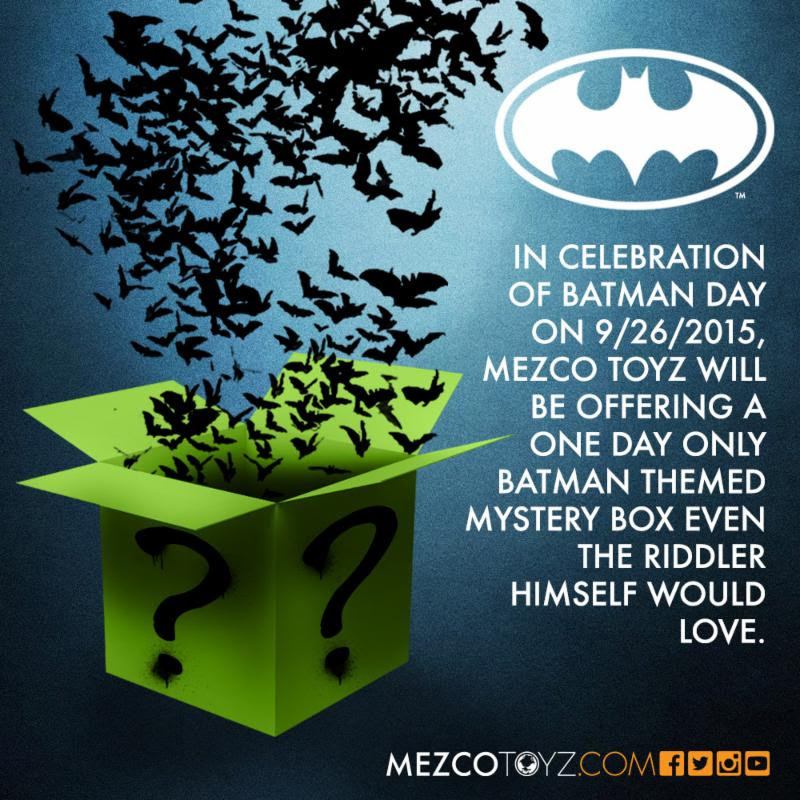 Gotham– In celebration of Batman Day on 9/26/2015, Mezco Toyz will be offering a 1 Day Only Batman themed Mystery Box the Riddler himself would love. Priced at $ 19.39 to celebrate the 1st appearance of Batman, each box is filled with Batman and DC Comics related merchandise. 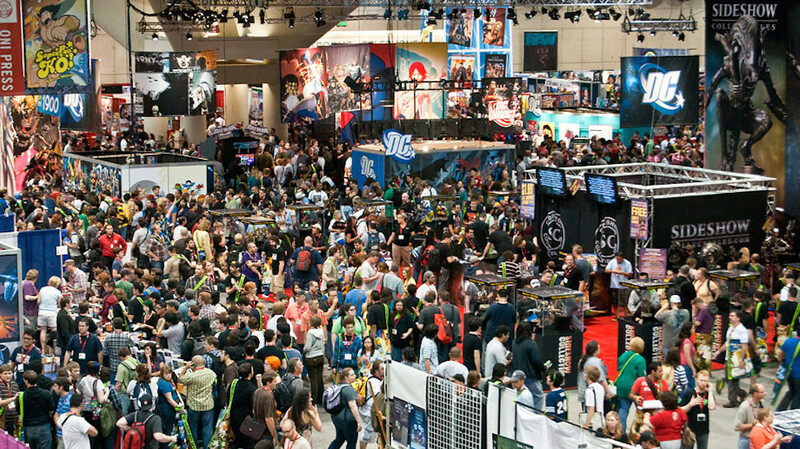 Some boxes will contain Mez-Itz, other will contain rare One:12 collective Dark Knight figures including the ultra rare Toy Fair edition never sold in stores. Some will even contain the 18inch Mega Scale Batman Mez-Itz figure sold for $200. The excitement begins at 12:01 AM on September 26th and ends at 12:01 AM on September 27th. Supplies are limited so order yours before the Bat-signal goes out.